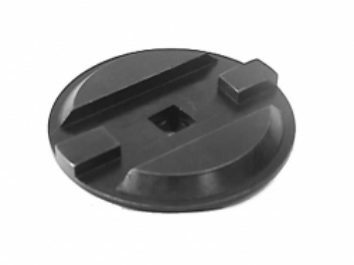 Our new Coupler Knuckle Handler may be used to remove, install and transport any “E” or “F” style coupler knuckle. 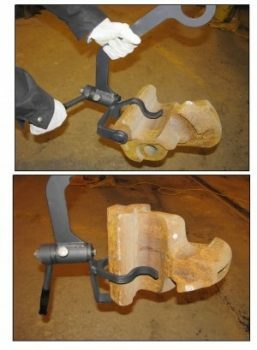 It has a rotational feature that allows the operator to dump the used knuckle into a scrap dumper with the simple twist of a handle. The rotational feature also allows a knuckle to be picked up from the floor or a storage table. 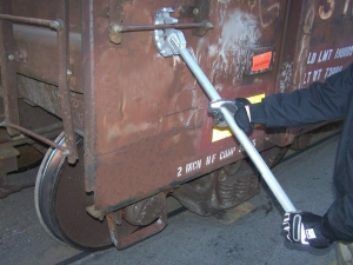 A locking pin is incorporated to ensure the coupler remains in the upright position if it is inadvertently bumped during transport. The rotation mechanism has a protection system that keeps rotational forces away from the operators hand and wrist.